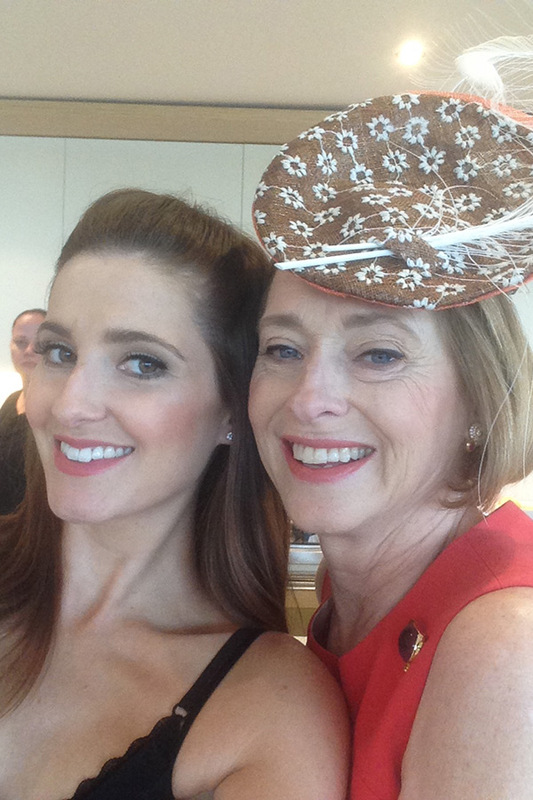 Reader Q&A: What should I wear to autumn racing events? 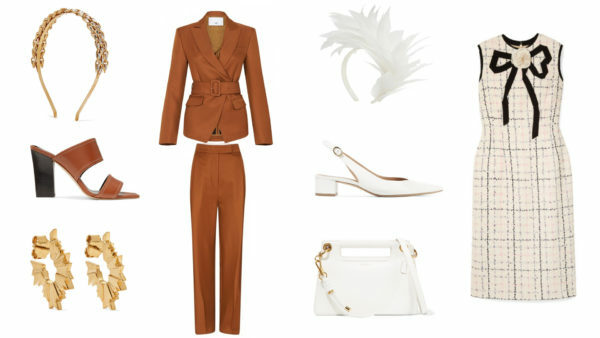 Autumn racing is upon us and it’s definitely a great one to dress for. Whilst spring racing generally takes centre stage, I do love being able to play with lots of textures and layers during this time of year on the racing calendar. I’ve received a few questions from readers asking what to wear to autumn racing events so to help guide you, these are some of my golden rules for nailing your look. This rule applies no matter the time of year—always remember that any event at the races isn’t an evening event so it’s best to go for looks that err on the side of conservative. If you were meeting your grandmother for lunch, what would you wear? It’s best to keep things like minis, sequins and other clothes you’d wear to a nightclub at home. Headwear is always a must for any racing event but for autumn it’s important to leave any straw hats at home and instead opt for a felt number. If you’re not a hat person there are so many other options available now that you’re definitely going to be spoilt for choice. Think headbands to headpieces with artistic shapes and textures and metallic works of art. It’s time for your open toed stilettos to go into hibernation and replace them with a pair of elegant pumps. If the weather is looking to be cool or wet, then it’s important to bring a jacket with you to stay warm, just be sure to bring the right style. Leave anything bulky at home and instead go for a blazer, a cape or an elegant trench. 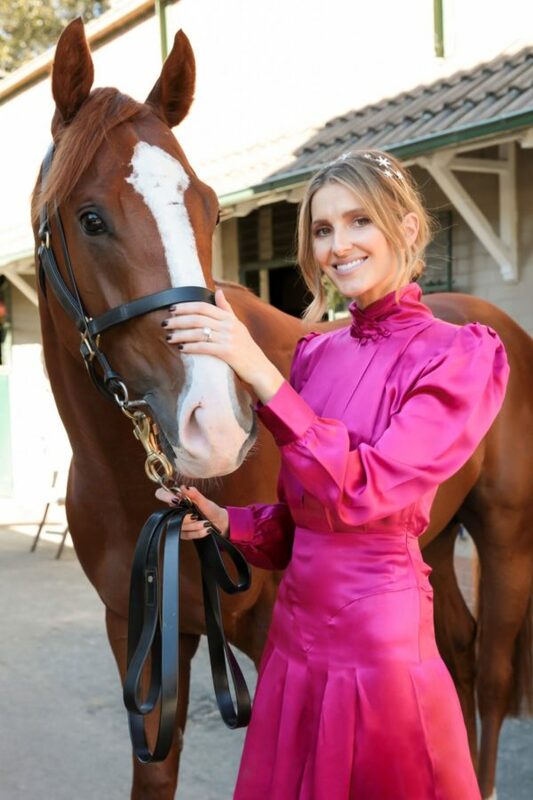 Beauty looks at the races should be elegant and simple. The key is not to look overdone. Keep your base fresh, and add a simple slick of black eyeliner or bold lip. Also when it comes to hair you don’t need to look like you spent hours at the hairdresser. A great blow dry, natural waves or a sleek bun will do the trick and save you hours of getting ready time. In keeping with post this week on wearing the same colour from head to toe, I worked with a similar concept for my look at The Everest 2017. However instead of playing with graduating tones I opted to work with the same ice blue when it came to my dress and headpiece. Dion Lee can always be relied upon for a dress that’s thoroughly modern yet remains classically understated. I couldn’t go past this dress with its pleated skirt and asymmetric bodice as it married both those design elements beautifully, whilst the colour made it look fresh and contemporary. 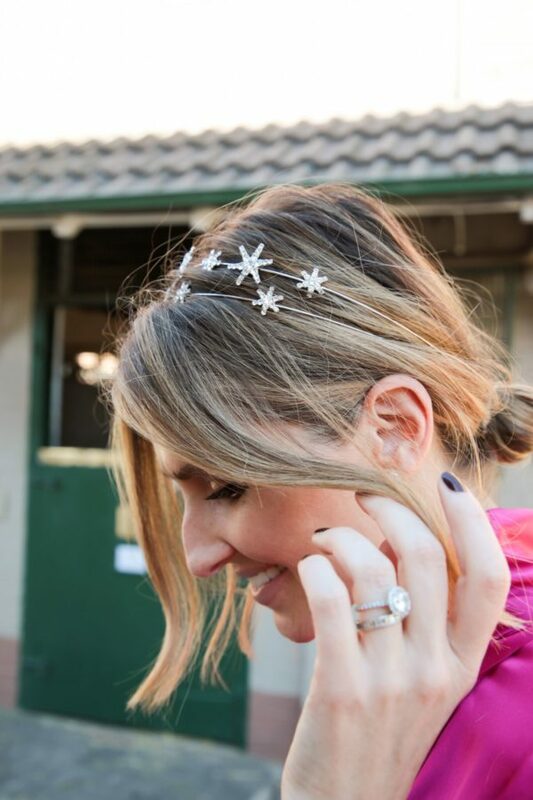 A Nerida Winter piece is often my go-to when it comes to headwear at the races and for this particular look I opted for a floral garland in the same colour of the dress for cohesion, but chose a whimsical style to offset the angular lines of the dress. I needed a bold colour to accessorise this particular look and thought my Bulgari shoulder bag was the ideal complementary piece. 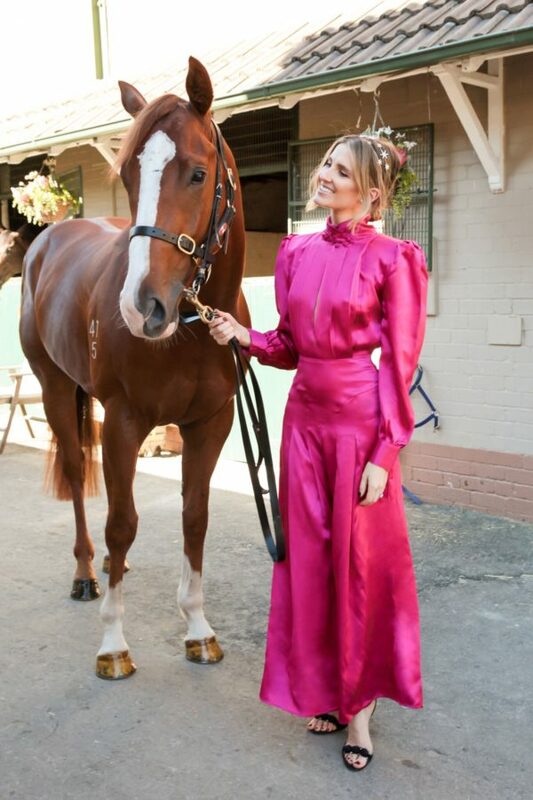 As far as fashion goes, you can always count on the ladies who attend Melbourne Cup to up the style stakes. Here are some of my fave looks from the day… starting with Alexandra Agoston and Bambi Northwood-Blyth who were both a picture of quirky cool. 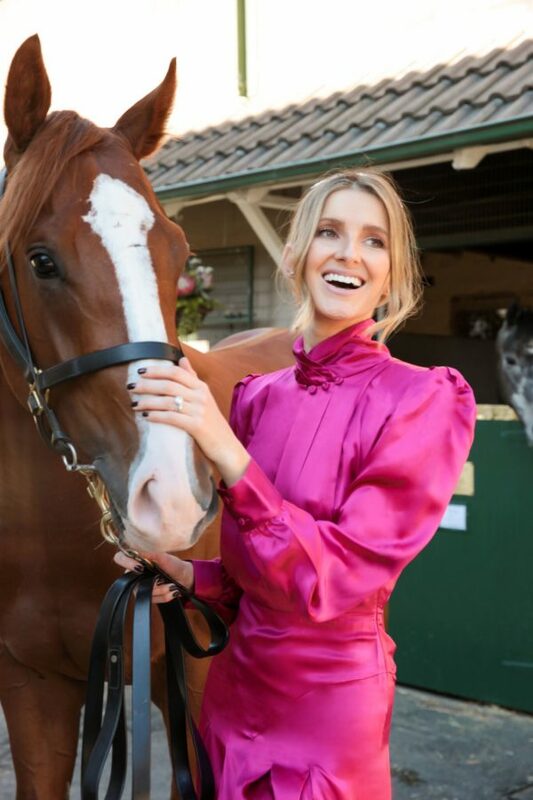 Nikki Phillips in bold and bright colours stood out from the fashion pack. 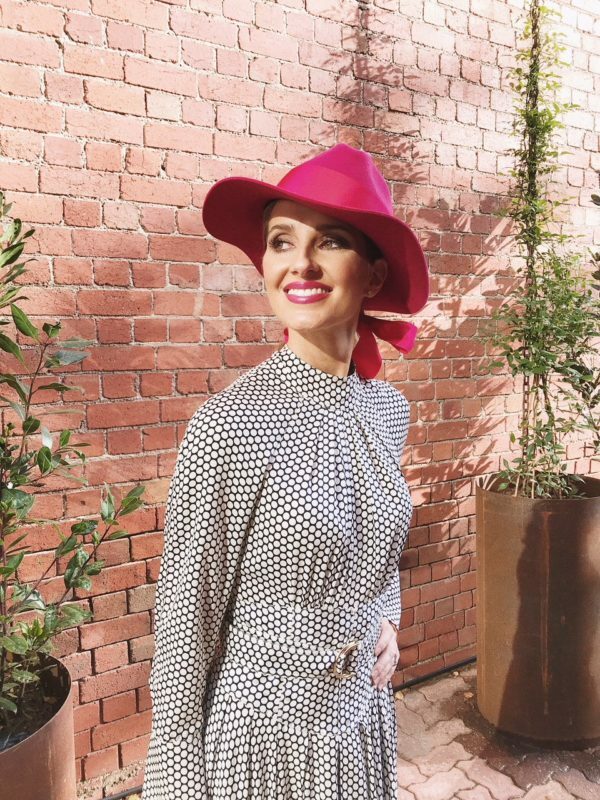 Rebecca Judd always looks picture perfect. 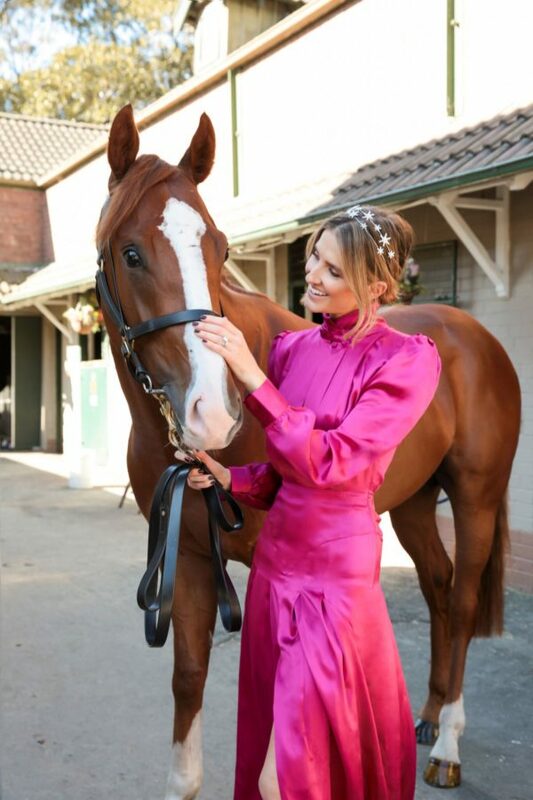 Rachael Finch looked amazing in this fire engine red dress and matching veiled head piece. Does Nicole Warne ever put a stylish foot wrong? Gigi Hadid in bubblegum pink and statement shoes was a show stopper. Emma Freedman looked adorable in this printed dress. Megan Gale was the epitome of glamour. Another big day in the spring racing calendar is Oaks Day. As it’s ladies day I went with a softer, more feminine approach to my outfit. 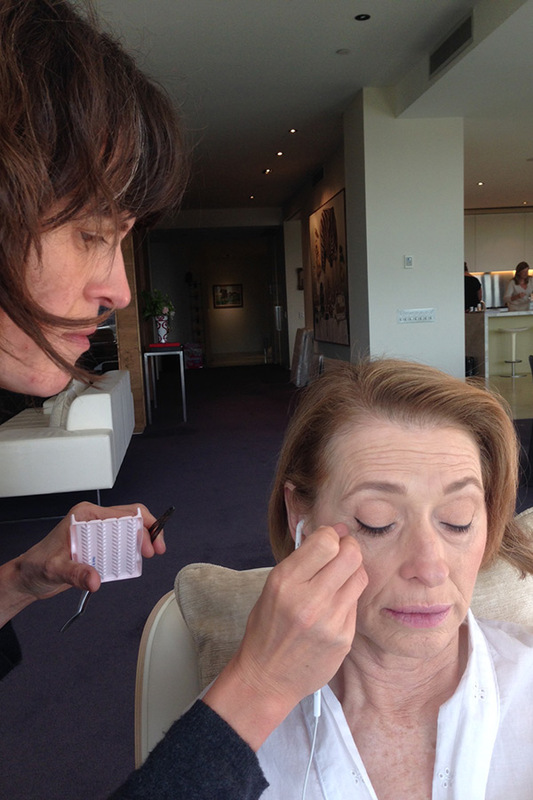 Here’s what I got up to this morning as I was getting ready for today’s event. A peek at the shoe options for today. A girl can never have too many shoes, right? 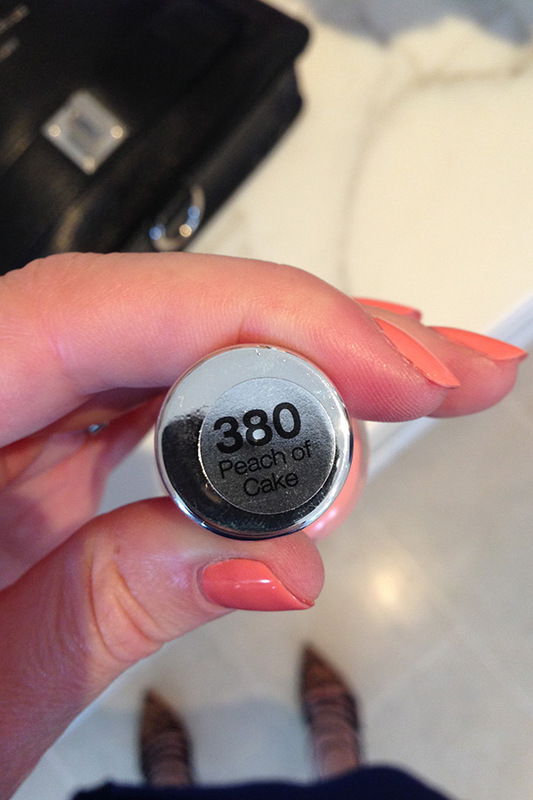 A beauty addict’s dream come true! A little mother daughter time today. 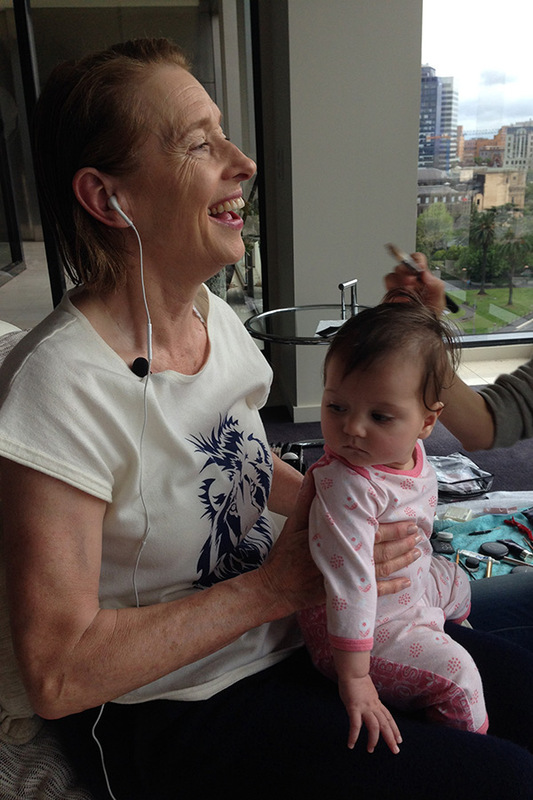 Love getting ready with mum. 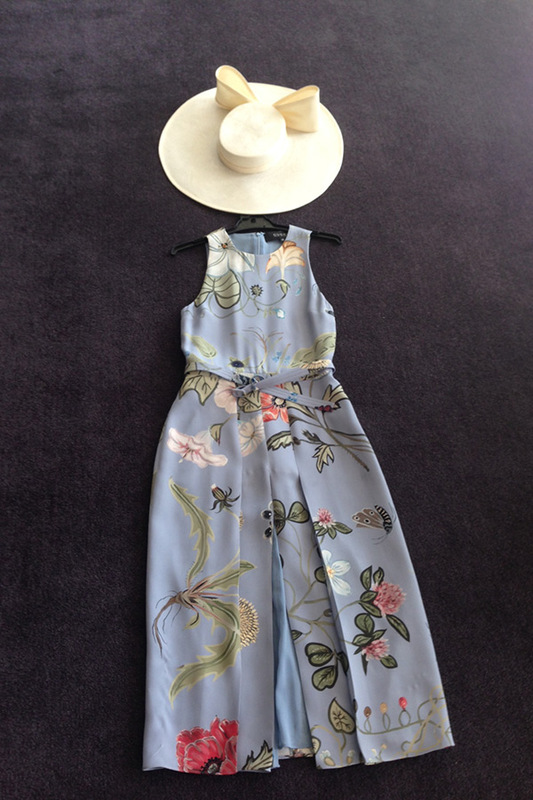 Adore the beautiful floral print on this dress. What do you think? 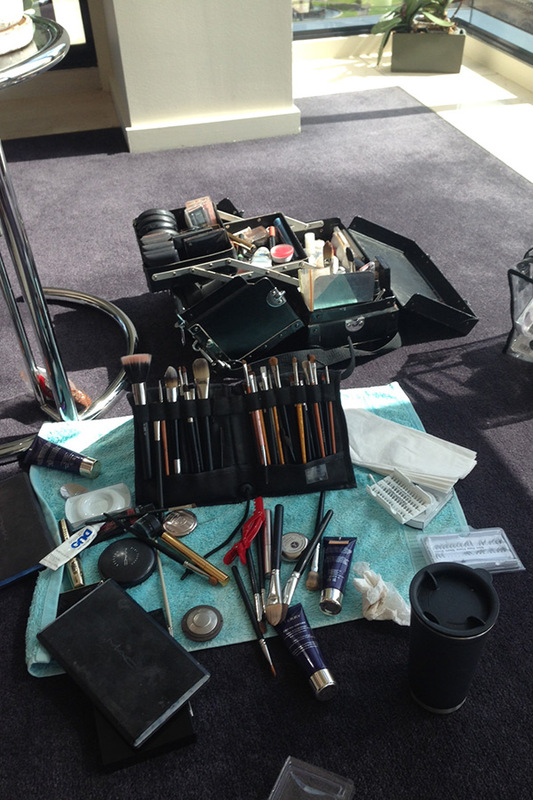 Make up all done and almost ready to go… See you there! “Some hats take around 5-8 hours and some take weeks and weeks; it depends on the complexity of design and construction. It all starts with a thought and endless possibilities then the hard labour comes in.